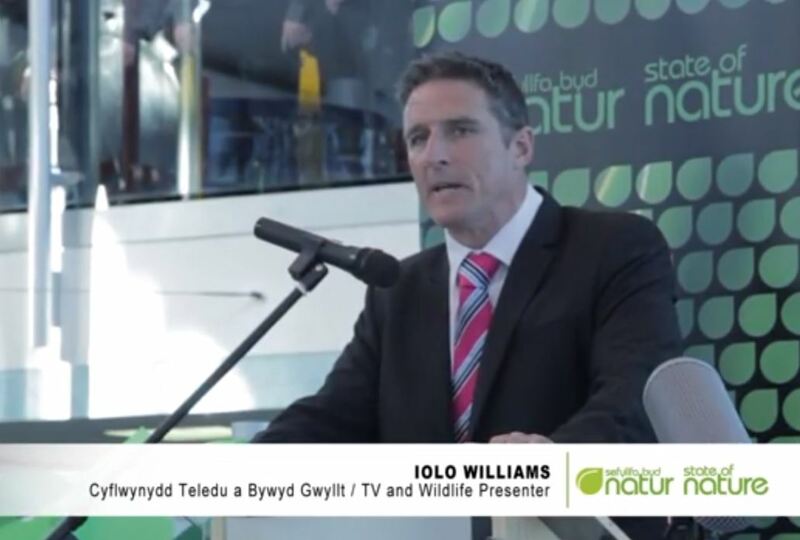 Presenter and conservationist Iolo Williams delivers his State of Nature address. The recent “State of Nature” report published in the UK highlights the staggering and shocking decline of some of our nearest neighbour’s most iconic wildlife species. The figures from the report — compiled by 25 of the UK’s top wildlife organisations — make for a sobering read. 60% of the species surveyed have declined over recent decades and more than one in ten of all species assessed are under threat of extinction as a UK species. Even more worrying, perhaps, is the fact that the report only scratches the surface, and that the real picture is much worse. Many of the species highlighted in the report are indicators of the general health of the wider ecosystem… and the signs are far from good. Similar catastrophic declines have occurred here in Ireland too — and Ireland is, arguably, a long way behind the UK when it comes to public engagement with wildlife and conservation momentum. That means the situation here is, if anything, likely to be even worse. The Curlew is a prime example. According to figures released by Birdwatch Ireland the Irish breeding population has plummeted from more than 5,000 pairs just 20 years ago to less than 200 breeding pairs in Ireland today. That’s an unbelievable 96% decline in just two decades. Unless we take decisive action now Curlews will soon become extinct as a breeding bird in this country. And that’s just one species among many, spanning all wildlife groups. This impassioned plea for action on behalf of wildlife from Welsh TV Presenter and Conservationist Iolo Williams (who features on the popular BBC Springwatch programme) focusses on the decline in wildlife on his local patch in Mid Wales — but so much of what he talks about applies to the Irish countryside. Our stewardship of the Irish environment has been woefully inadequate over the last thirty or forty years. The situation is dire, but there is a glimmer of hope. If these shocking revelations help galvanise us into action, then there is still time, just about, to reverse at least some of these declines and give our wildlife a fighting chance. But that’s going to need more than just local conservation initiatives from concerned citizens — it demands decisive action at a policy level in government. Wildlife and biodiversity plays a crucial role in maintaining the health of the ecosystem in which we all live. It provides the clean air we breathe, the food we eat, the water we drink, the climate and conditions that allow us to exist at all. According to the National Biodiversity Data Centre biological diversity contributes at least €2.8 billion a year to the Irish economy — and that’s a very conservative estimate. Looking after nature isn’t some altruistic “nice to have” notion peddled by wildlife lovers: looking after nature IS looking after our own best interests. We need to wake up and do everything we can to help our embattled wildlife to bounce back… not just for its sake… but for our own!